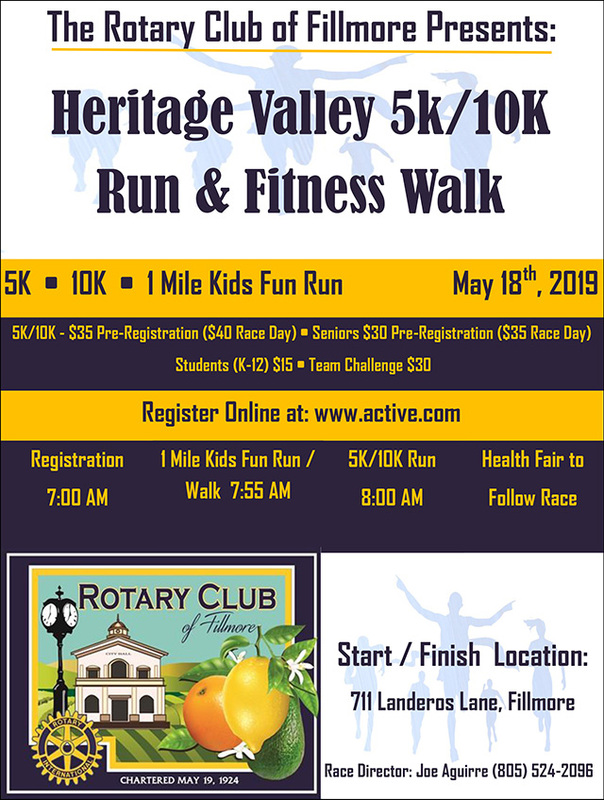 Sierra High School and Heritage Valley Independent Study would like congratulate all of our high school graduates this year. Graduation will be held at the Fillmore Unified District auditorium on June 7th at 6:30. We are very proud of the hard work by all of our graduates and would also like to congratulate our scholarship recipients: Cornelio Garcia, Jose Mejia and Sarai Vargas. 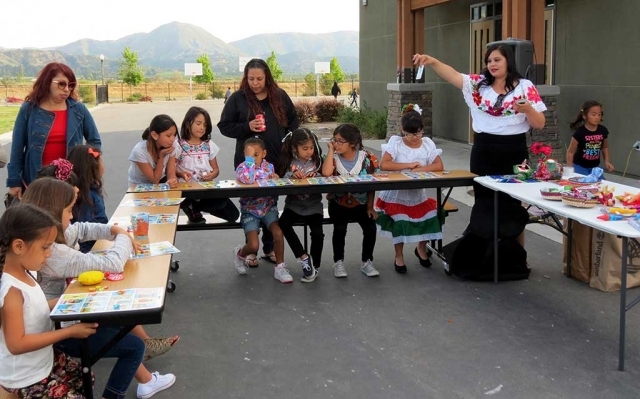 On May 25 and 26, the kindergarten through fifth grade students at San Cayetano School participated in fun and educational Earth Day activities. 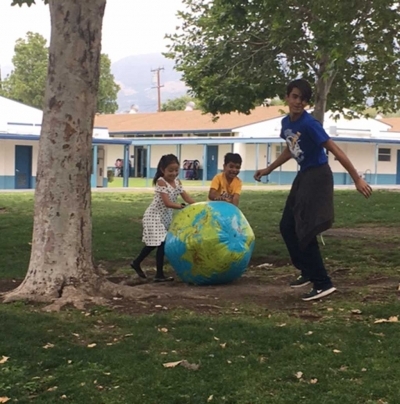 For over 20 years, teacher, Mr. Steve Miech, has organized the Earth Day activities. The students brought recyclable items to school. Then, students used some of these materials to create projects for Earth Day. For example, bottles were repurposed to make hockey sticks, golf clubs and bowling pins. Cereal boxes were reused in the arts and crafts activity. 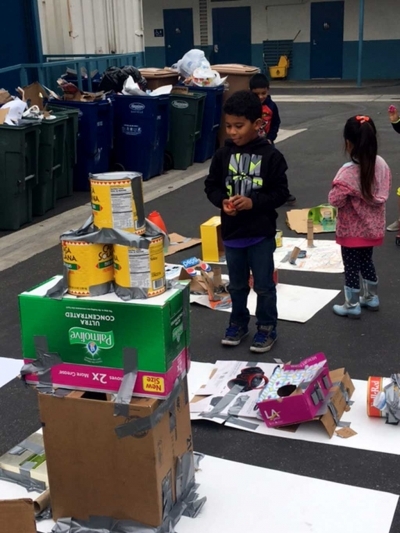 The creative students made various obstacle courses and targets from other boxes, plastic bottles and bottle caps. 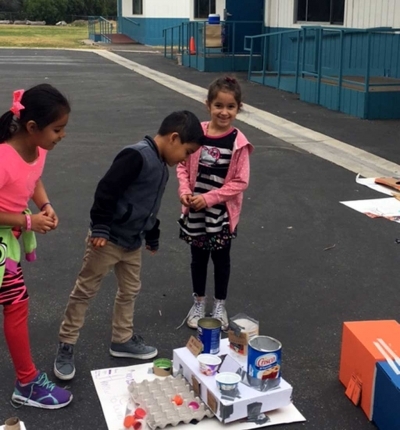 Over the morning of two days, all students at San Cayetano then had the opportunity to rotate through the 10 activities designed and made by their classmates. 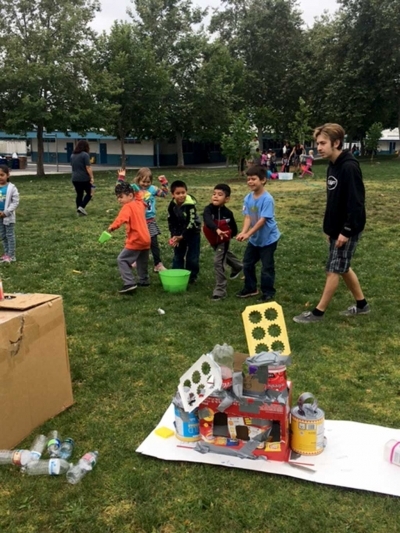 Parents and grandparents who may believe that children need expensive toys to have fun would have enjoyed the exuberance displayed by the students at the Earth Day activities. Again this year, Otto and Sons Nursery donated trees to be planted at San Cayetano. If you have ever been on the San Cayetano campus, you have seen the row of sycamore and other trees. These trees provide shade and beauty for the school. Otto and Sons has donated all these trees. Another thank you goes to Harrison Industries. 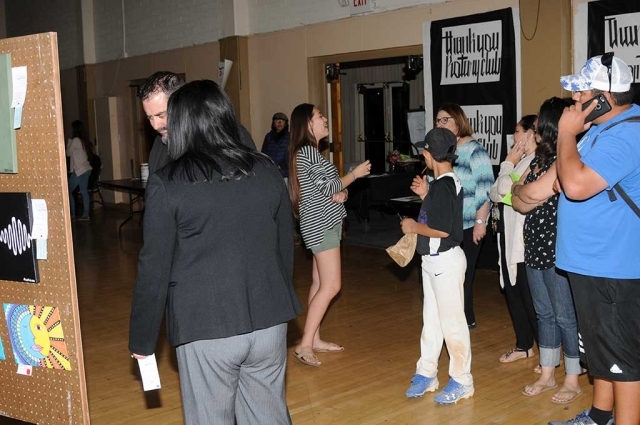 During the course of over 20 years of Earth Day events at San Cayetano, Harrison Industries has either donated or provided at a small charge all the receptacles to collect and recycle the materials for Earth Day. 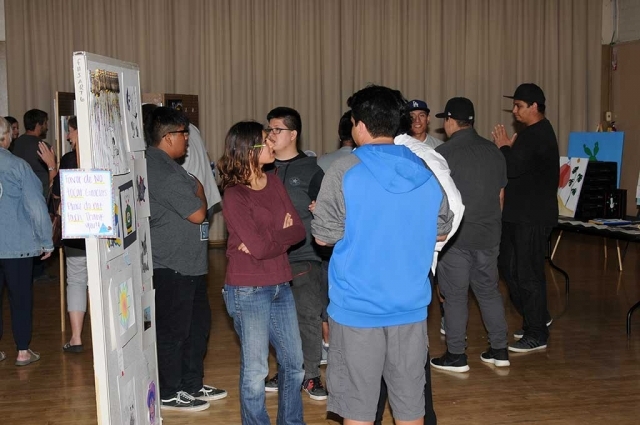 Fillmore High School students provide leadership at each of the 10 activity stations. 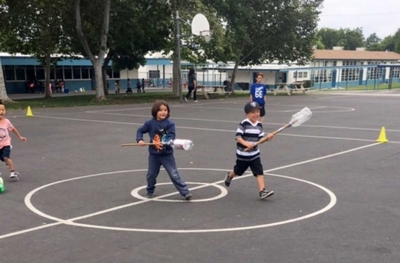 It was gratifying to watch the high level of enthusiasm, kindness, patience and skill the high school students demonstrated toward the younger San Cayetano students. 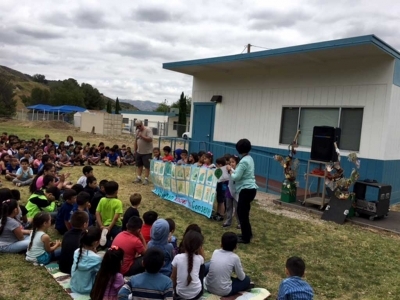 On Friday afternoon, May 26, the San Cayetano students attended an Earth Day rally near the newly planted trees (thank you Fillmore Unified ground crew). Many of the classes had prepared chants, posters or songs about the earth. 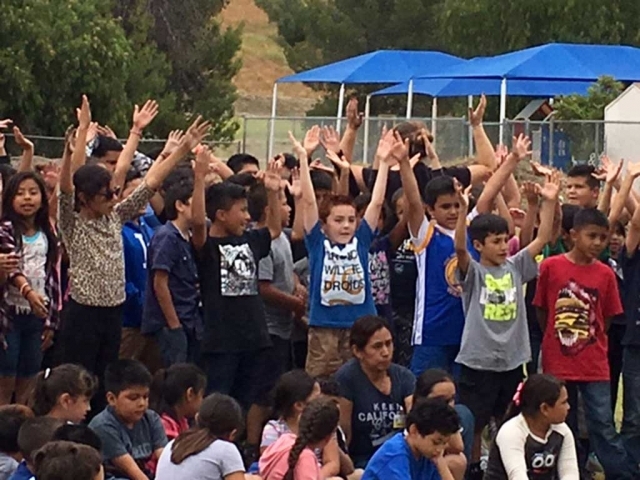 The third grade sang “This Land Is Your Land.” Several classes performed chants and songs from science units that were part of SEAL (Sobrato Early Academic Language) instruction. Young students use high level academic language as they demonstrate understanding of various topics of instruction. 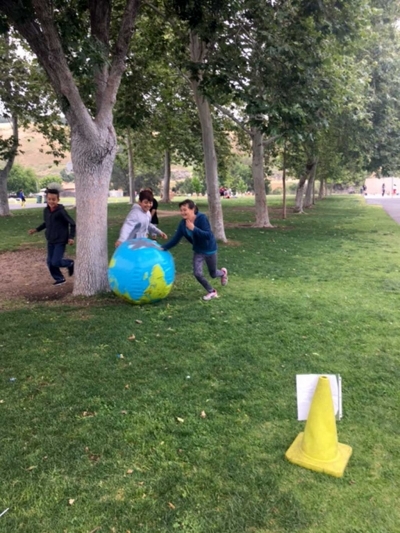 While the Earth Day activities were fun, a great deal of learning and preparation went into the success of the day. As the end of the school year approaches, remember to thank not only teachers, but all the people who help educate our youth. Participate in activities over the summer that encourage students to read and learn. Fillmore Middle School Talent Show 2017 participants. Happy smiles for a show well done! 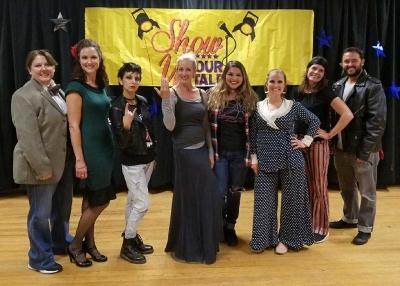 FMS Teacher performers, Ms. Beal, Mrs. Bortins, Mrs. Barajas, Mrs. Gadbois, Ms. Musgrove, Mrs. Emhoff, Mrs. Casanave and Mr. Geddes. 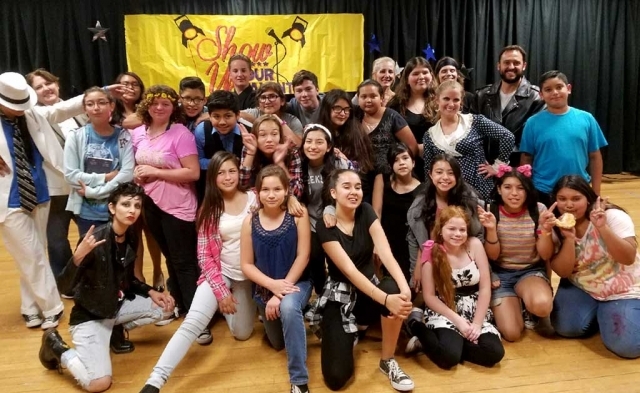 Fillmore Middle School’s Annual Talent Show last Friday night May 26th was a resounding success. 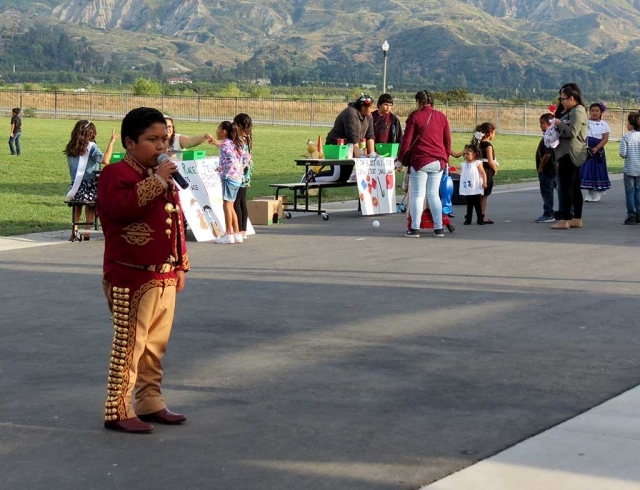 There were 21 acts that performed center stage at the middle school. The FMS talent show is open to all 6th, 7th and 8th grade students at the school. All they have to do is try out and show up to the practices. Any student with the drive and determination to be in the show could. The inclusiveness is what makes this show so special. Students many had never seen before perform surprised the audience with incredible singing, dancing and jokes as well from the MC’s. The applause from the crowd motivated each subsequent group as they took their turn on the stage. The acts ranged from singing and dancing to martial arts and a scene from a musical. The teachers also performed with a singing and dance number themselves. What makes this talent show such a success is the leadership of the drama club Mrs. Bortins and Ms. Musgrove working tirelessly at lunch and after school with the diverse group of talents of the students to put on the show. Each act had their own music, costumes and props. The positive energy back stage was incredible as each act finished the other students in the wings high fived and fist pumped each other on a job well done. The feeling amongst the performers was inspirational. Great job FMS and its talented students. 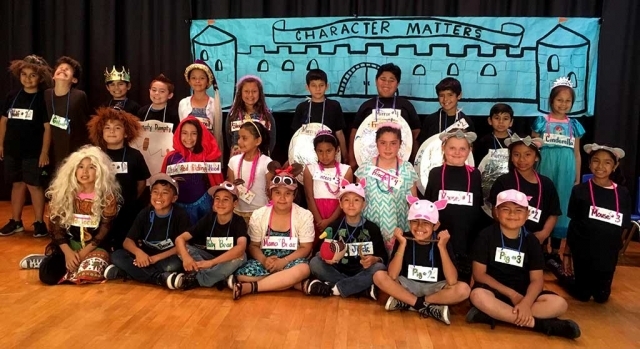 On Tuesday, May 16th at San Cayetano Elementary, Mrs. Gosselin’s third grade class performed a musical called, “Character Matters.” The musical was about how fairy tale characters learn good character traits such as being kind and responsible. 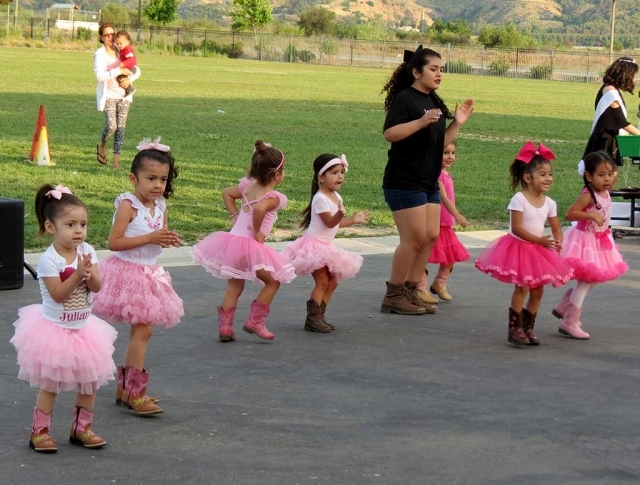 The following students who were in the musical in no specific order are pictured above: Desteny Acosta, Giovanni Alcala, Ashley Alvarez, Briana Alvarez, Daniel Baron, Daisy Bautista, Lila Bunheirao, Carlos Cabral, Layla Cabral, Jesus Canchola, Angel Garza, Hector Hernandez, Leo Hernandez, Sofia Ibarra, Natalie Jacinto, Andrew Luna, Lisbeth Magana, Lizbeth Mendez, Alex Miller, Nathaniel Ponce, Jonas Ramirez, Luis Roque, Aliorah Salas, Christopher Tobias, Juan Torres, and Jazleen Vaca. Photos Courtesy Lisa Gosselin. 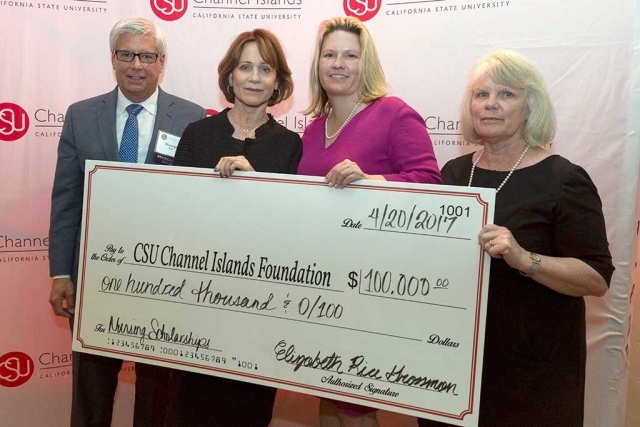 CSU Channel Islands (CSUCI) Nursing scholars in financial need will be able apply for a scholarship from the Dr. Richard Grossman Community Foundation beginning in the 2018-2019 school year. 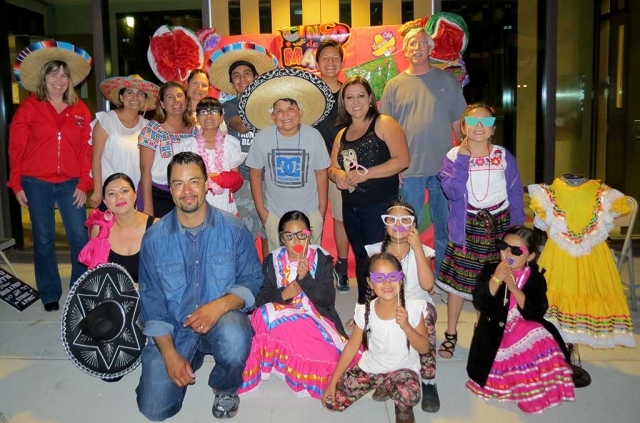 CSU Channel Islands (CSUCI) is the only four-year, public university in Ventura County and is known for its interdisciplinary, multicultural and international perspectives, and its emphasis on experiential and service learning. CSUCI’s strong academic programs focus on business, sciences, liberal studies, teaching credentials, and innovative master’s degrees. Students benefit from individual attention, up-to-date technology, and classroom instruction augmented by outstanding faculty research. 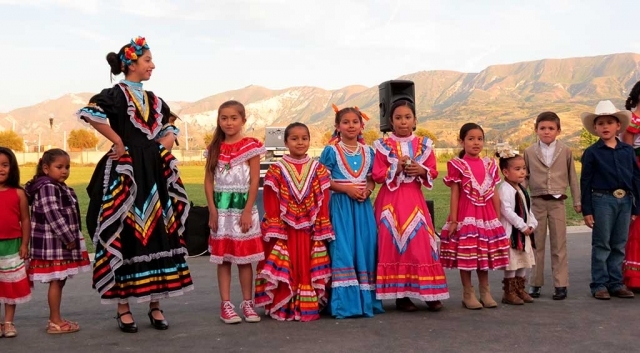 CSUCI has been designated by the U.S. Department of Education as a Hispanic-Serving Institution and is committed to serving students of all backgrounds from the region and beyond. Connect with and learn more by visiting CSUCI’s Social Media. 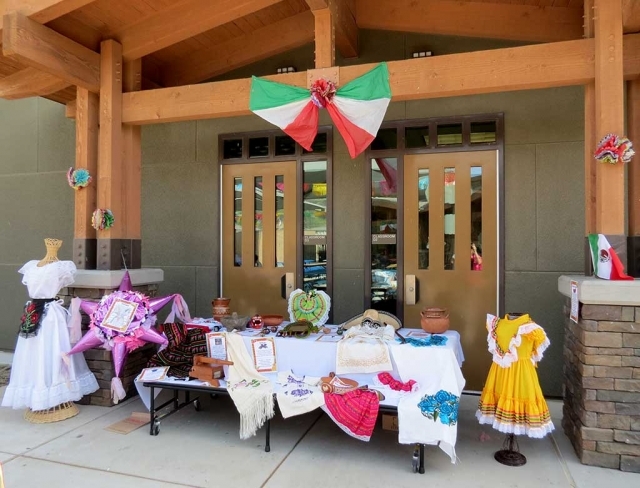 Friday, May 5th, the ELAC Group hosted a Cinco De Mayo Celebration Festival at Rio Vista Elementary School. 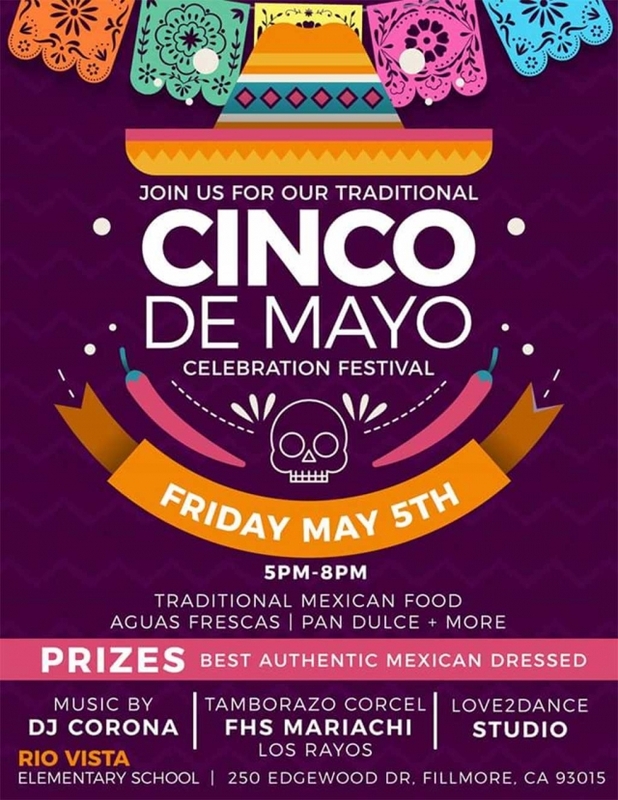 Traditional Mexican food, desserts, music, dancers and more was offered. 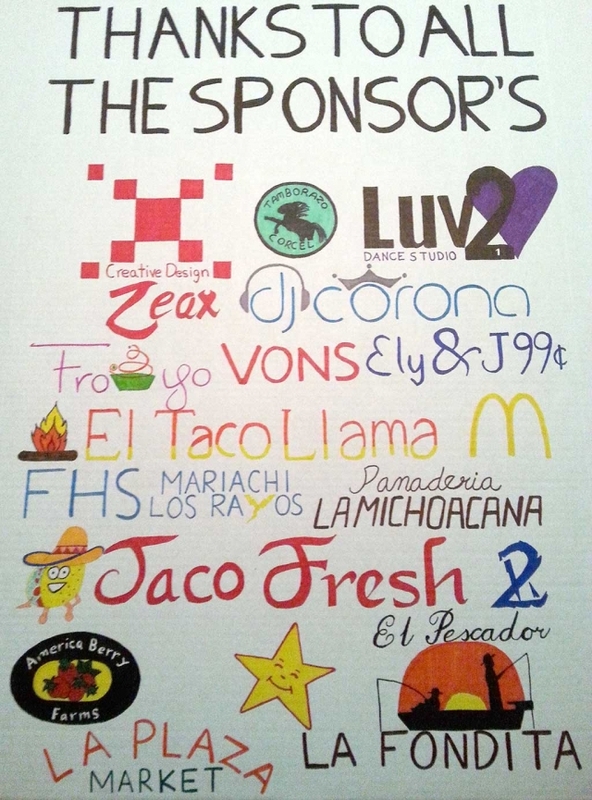 A number of local sponsors (listed online) helped in supporting their event, which was a huge success. Photos courtesy of Ricardo Robles. 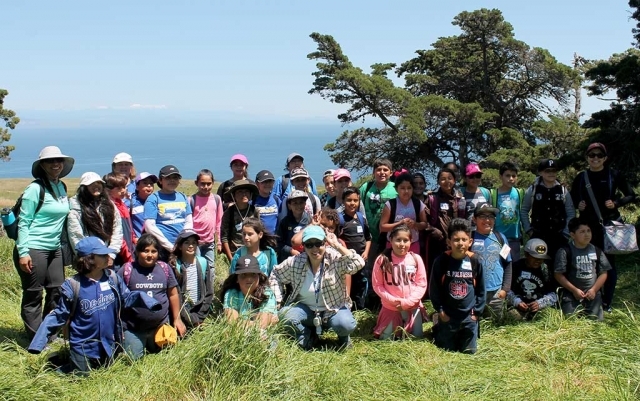 Pictured above are Piru Elementary School fourth graders and teachers, who traveled to Santa Cruz Island academy, which was made possible by the “Every Kid in a Park” National Park Foundation Grant. On Wednesday, April 19, 34 Piru School fourth graders and their adult chaperones traveled to the Santa Cruz Island Academy on the largest island of the Channel Islands National Park. The trip was made possible by the “Every Kid in a Park” National Park Foundation Grant. Piru Elementary School was only one of three schools in the county invited to participate in the program after receiving the grant, which the school qualified for when fourth grade teachers took part in the Hollings Grant and MERITO training at the Channel Islands National Park center in Ventura last November. Once on the island and the students began walking on the main trail, a small Island fox, the largest mammal on Santa Cruz Island – no bigger than a house cat -- sniffed the ground and peeked out from under a picnic bench at the group of children and adults eagerly snapping photos near the entrance of Scorpion Ranch before trotting away into the brushy hillside. It was the first of many sightings of the fox – who lives only on six of the eight Channel Islands – San Miguel, Santa Rosa, Santa Cruz, San Catalina, San Nicholas and San Clemente -- off the California coast. During the daylong Channel Islands National Park Service-sponsored trip to lush Santa Cruz Island, the Piru Elementary fourth graders and their chaperones enjoyed a full day of hiking, identifying unique plant life and observing the rare fox as they learned first-hand about how unique flora and fauna have managed to survive in the vast Pacific Ocean. More than 2,000 plant and animal species live on the Channel Islands, with about 145 found nowhere else in the world. The students pulled out their field guide notebooks and began documenting their observations of the sea lions, the island scrub-jay, insects, and especially the elusive fox, who welcomed them within minutes of arriving on Santa Cruz, California’s largest island. Trekking more than a mile on a rocky trail towards the top of the island, noting succulents like the Giant Coreopsis and clusters of North Island Buckwheat, the students found discarded abalone shell left by the Chumash. At noon the students rested in Delphine’s Grove for lunch, careful to pick up their paper lunch sacks and leave no sign that they had visited the pristine habitat. A visit to the canyon campgrounds led to more encounters with curious Island Fox as National Park Service rangers made sure the students and other visitors maintained a safe distance. 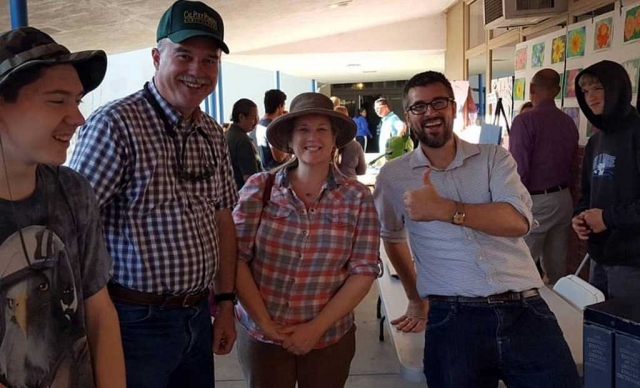 As winds ruffled grassy hillside meadows, the students, teachers and rangers offered ideas about how so many species arrived on Santa Cruz Island. As they wrapped up their visit they viewed remnants of ranching life in the historic Scorpion sheep Ranch, which offered a glimpse of the past complete with ranch house, blacksmith and work barns and vintage farm implements. 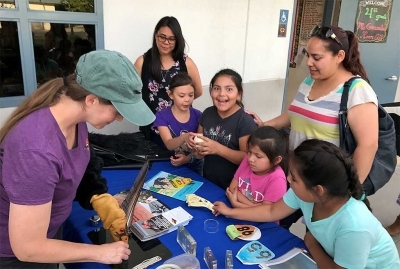 Piru students will turn their island observations and photos into an upcoming presentation to the rangers and their families during the May 4 Open House, sharing their observations and field experiences in interactive science notebooks and photo collections. CSU Channel Islands (CSUCI) Computer Science students who placed third in the nation in the Second Annual NASA Swarmathon competition will demonstrate how they developed their winning algorithm during the SAGE Research Conference Saturday. 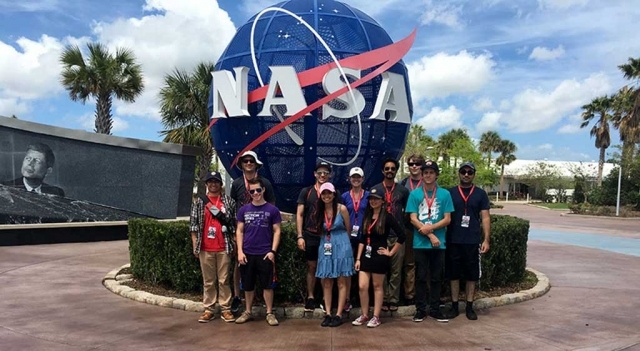 The NASA Swarmathon team traveled to NASA Kennedy Space Center in Florida for the competition, which took place April 18 through 21. The CSUCI Swarmathon team, whose motto was “We can log in!” were competing against 19 other college teams across the nation. Each team was given the task of developing an algorithm that would power a swarm of sample-collecting robots on Mars. NASA is using this contest to crowd source effective approaches from universities, which could be used on upcoming missions to Mars. The competition was open to Minority Serving Institutions across the nation, who had to compete for a spot in the April competition. Under the guidance of Assistant Professor of Computer Science Jason Isaacs, Ph.D., Computer Science students volunteered their Friday afternoons all year to develop a search algorithm that would power a swarm of robots to pick up a sample in a mechanical claw, then take it back to a central spot in the red planet. Computer Science Lecturer Kevin Scrivnor and graduate student Nicholas Dolan-Stern also mentored the team. After a nail-biter tie-breaker round that got them into the semi-finals, the team won third place. 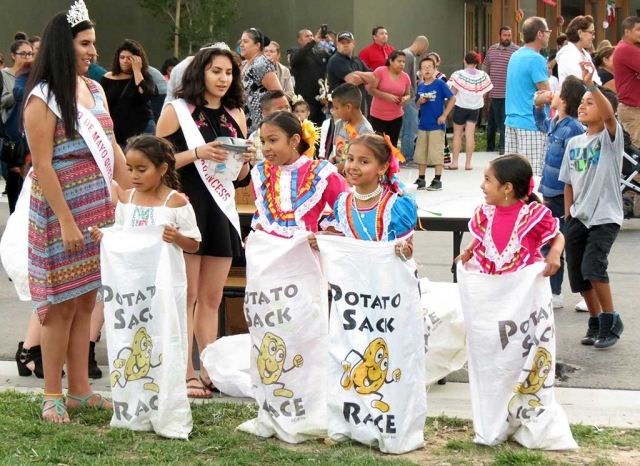 First place and a $5,000 prize went to Southwestern Indian Polytechnic Institute in New Mexico and second place and a $3,000 prize went to the University of Houston. CSUCI’s team won a trophy shaped like Mars and $1,000. The team was also awarded $200 from NASA engineers and competition organizers for “Best Technical Report,” a significant win, Isaacs said. Team member and Computer Science major Luis Torres, 23, admits he was in shock. 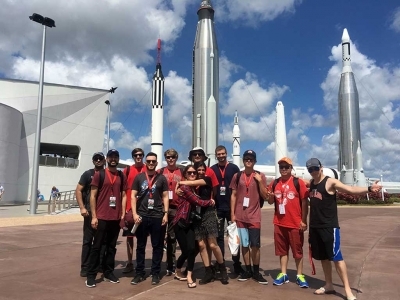 While they were there, the students got to see the launch of the Atlas 5 rocket, which carried a supply ship to the International Space Station. Many of the students had not seen Florida before, to say nothing of seeing a space launch. Their mentor was thrilled with the win, and with the way the students conducted themselves. 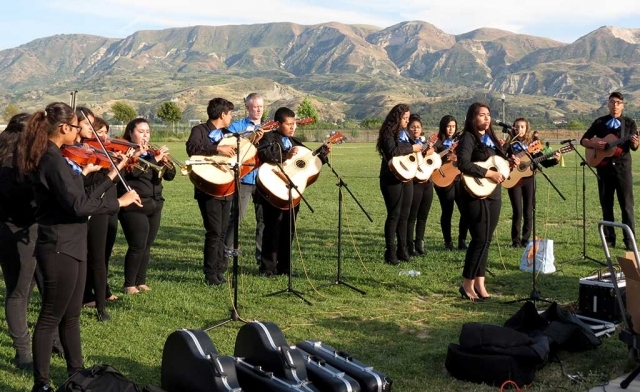 “I am extremely proud of our students, not just for their performance in the competition, but for how well they have represented CSUCI during the entire journey,” Isaacs said. Isaacs said he definitely plans to enter the next Swarmathon team in the 2018 competition. 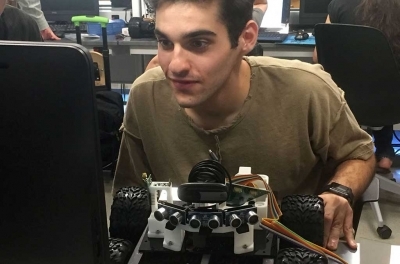 If you would like to see how the robots work, the 9th Annual SAGE Research competition is from 8:30 a.m. to 5 p.m. in the North Quad on the CSUCI campus. 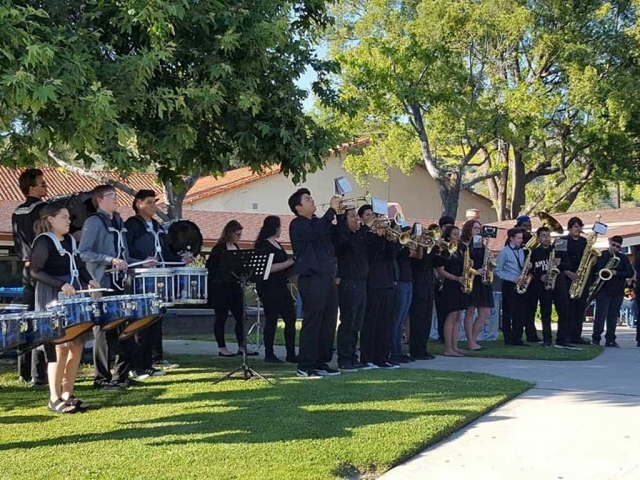 With their families by their sides, 70 high school and middle school students will gather at the Performing Arts Center at Oxnard College on May 11 to enter into a pact with Oxnard College and/or CSU Channel Islands (CSUCI). 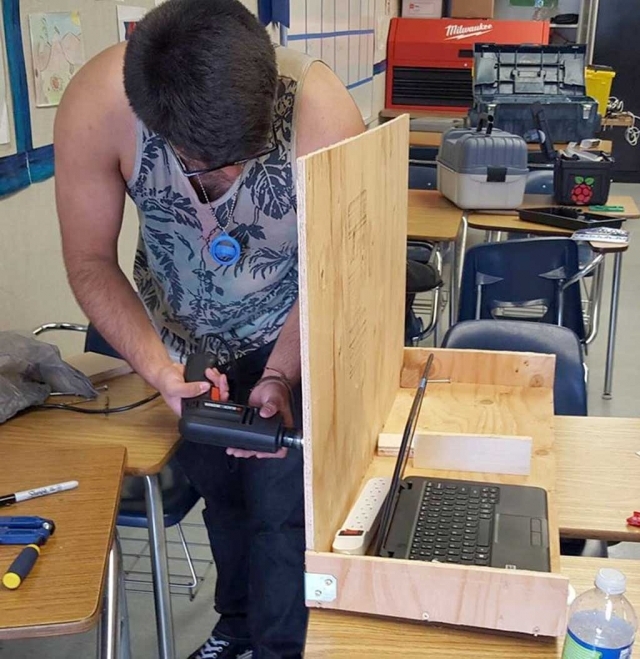 Oxnard Union High School District students will sign a STEMpact, which requires the student to keep up his or her grades, start researching career choices in science, technology, engineering or math (STEM) and completing college preparatory work, among other promises. 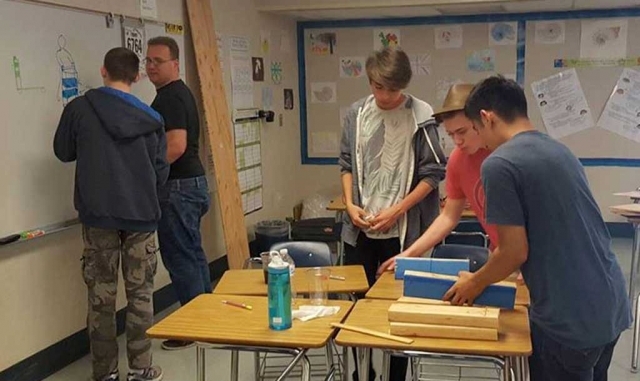 Middle school students will commit to one of the STEM academies at Hueneme or Channel Islands High School. Channel Islands has the Marine Science Academy and Mechatronics Engineering Academy and Hueneme has the Academy of Engineering and Design. They will also commit to STEMpact once they enter high school. In return, CSUCI and Oxnard College will guarantee entry into one or both institutions, provided students meet the minimum admission criteria. The institutions will provide a wide-ranging support network, undergraduate mentors, information about financial aid and other academic and emotional guidance to help the student successfully enter and complete college. The idea behind STEMpact is to create a college-going mentality and provide a clear pathway to college for the high school and middle school students. 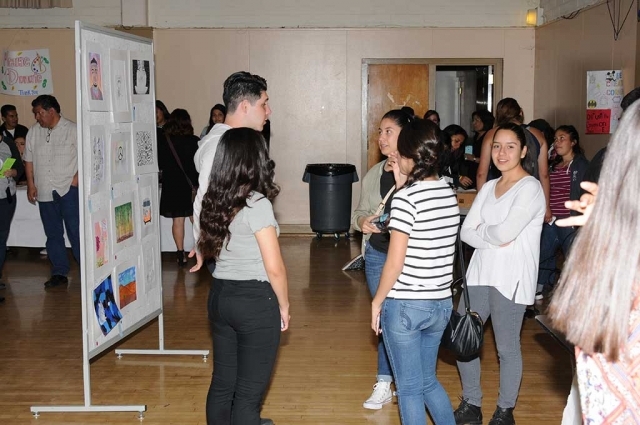 Designed for underrepresented minorities, the STEMpact program is the result of a collaboration with CSUCI, Oxnard College, Oxnard Union High School District and the Ventura County P-20 Council. “The Ventura County P-20 Council is committed to building new pathways to higher education. 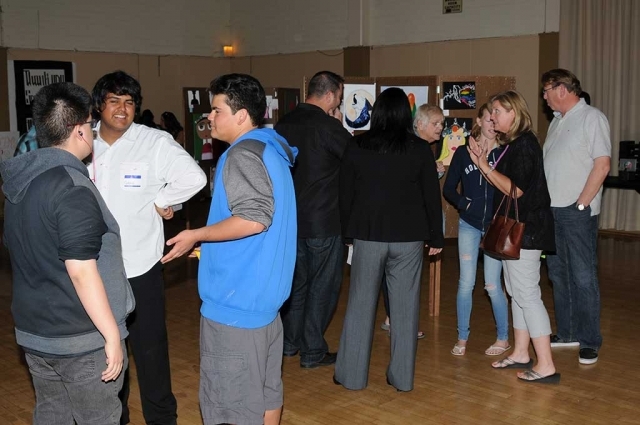 I applaud CSU Channel Islands and Oxnard College for partnering with area middle and high schools on this collaboration that will allow more students to achieve their dreams of a college degree,” said Ventura County Superintendent of Schools Stan Mantooth, Chair of the Ventura County P-20 Council. With STEMpact, the students will agree to embark on one of three pathways to college: 1) Enrolling in Oxnard College and transferring to CSUCI; 2) Enrolling in Oxnard College; or 3) Enrolling in CSUCI as a freshman. 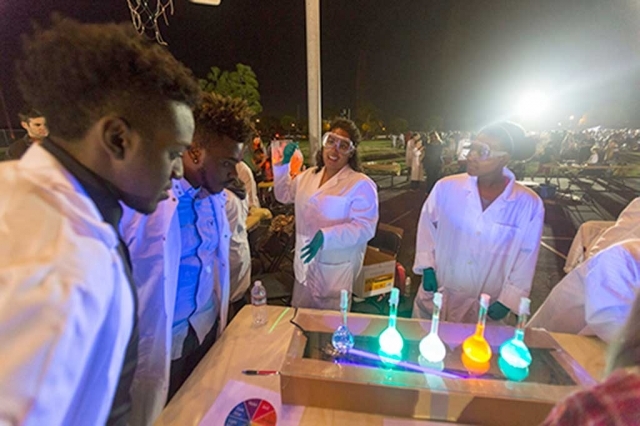 The STEMpact program is part of CSUCI’s Project PROMESAS (Pathways with Regional Outreach and Mathematics Excellence for Student Achievement in STEM), which is aimed in part at strengthening STEM pathways to and through college. Hampton believes one of the strongest components of the program will be the mentoring STEMpact students will receive from CSUCI students. “What’s powerful is the near-peer mentoring where you have a college student able to interact with a high school or middle school student—sharing with them the pathway they took to college,” Hampton said. 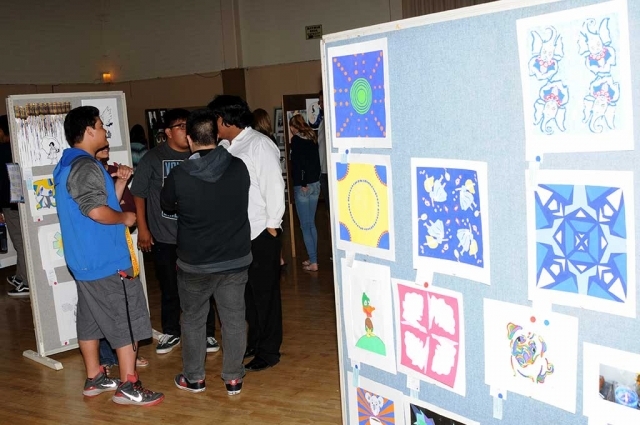 Middle school students will participate in a formal ceremony where they have a personalized STEMpact contract signed by representatives of CSUCI (Vice President for Business & Financial Affairs Ysabel Trinidad), Oxnard College (President Cynthia Azari), Oxnard Union High School District (Superintendent Penelope DeLeon, Ph.D.), and superintendents for each student’s middle school. The STEMpact event will begin at 6:30 p.m. at the Performing Arts Center at Oxnard College is at 4000 South Rose Ave., Oxnard. Dorothy Horn from Fish and Wildlife showcased Condor artifacts for the students and parents of Mountain Vista Elementary to observe. 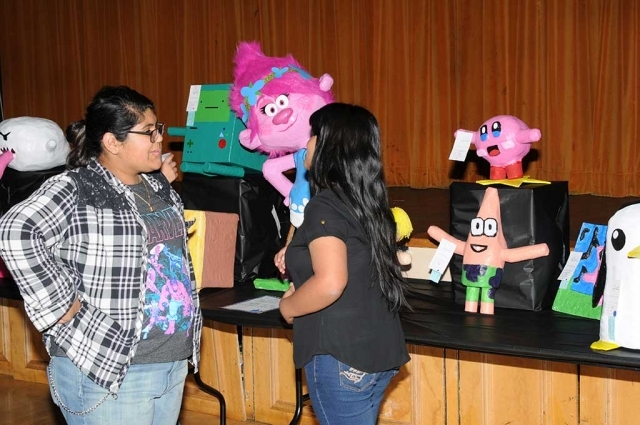 Mountain Vista 3rd grade held their CondorKids Parent Night last Thursday, April 27. 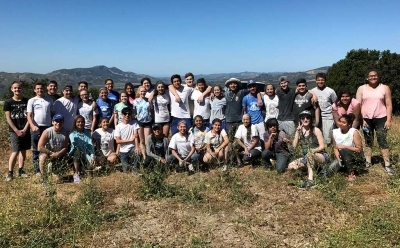 Thanks to the Santa Barbara Zoo and the connection to Hopper Mountain Wildlife Refuge, students have been working on a 6 week unit covering the history, geography, biology, and conservation of the California Condor. 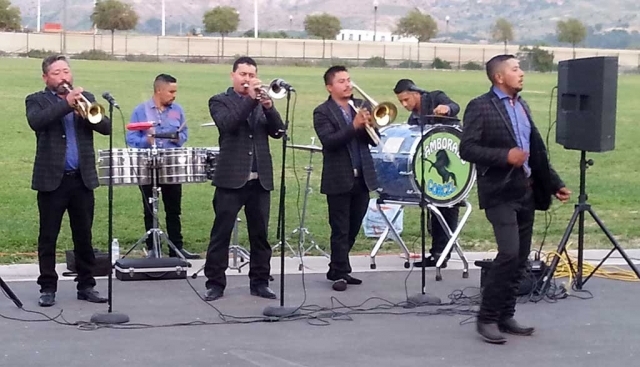 Several groups attended in support of this special night for the students. Dorothy Horn-Condor Park Ranger from Fish and Wildlife, Devon Pryor-a biologist from the Santa Barbara Zoo, and Helen from Friends of the Condor Wild and Free set up tables with actual Condor artifacts and information about being a biologist for all in attendance. The connection with these groups has provided a wonderful learning experience for all. 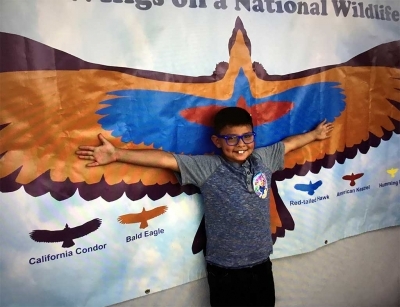 The 3rd grade in FUSD will culminate this unit in a visit to the Santa Barbara Zoo where students will learn about the feeding of a condor, how to track with gps, meet biologists who rappel into Condor nests, metal detect microtrash, use scopes, and handle artifacts. 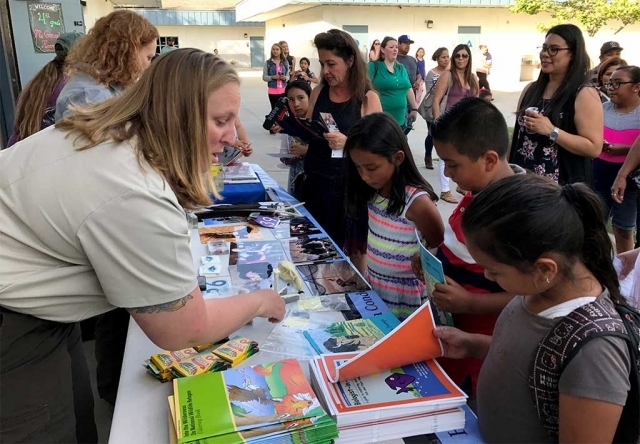 FUSD 3rd grade would like to thank the Santa Barbara Zoo for their continued support, both with staff and with financing the projects, unit, and trips to their zoo. Our students are better for it. 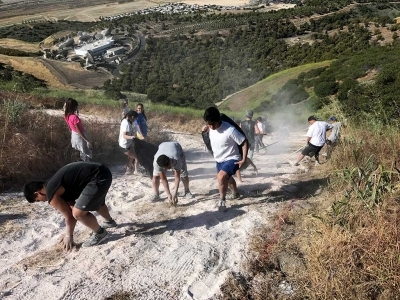 On Saturday, April 29th over thirty members of the FHS freshman class of 2020 gathered to chalk the F. Directed by 5 parent volunteers and their freshman class advisor, Kellsie McLain, the freshmen hoisted three truck-loads of 80lbs gypsum bags up and down the mountainside. The students were excited to participate in this long-standing FHS tradition, and worked extremely hard to bring the historic F back to life. Great job Flashes! Submitted By Freshman Class Advisor Kellsie McLain. The Board of Trustees recognized the Fillmore Women’s Service Club for their work to champion and support programs and services throughout the community. 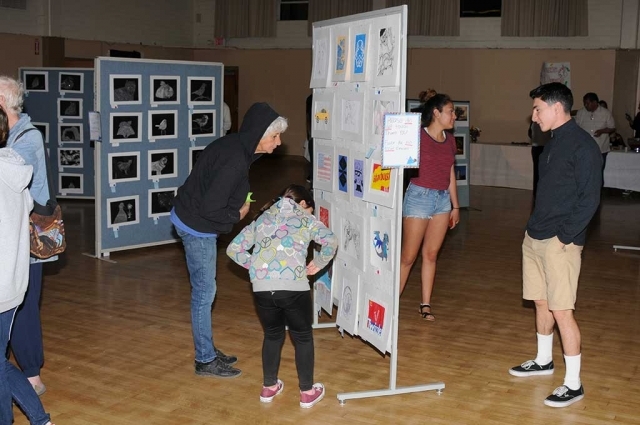 The organization was started in 1964 and in that time they have donated over a half million dollars to various groups that support Fillmore residents. 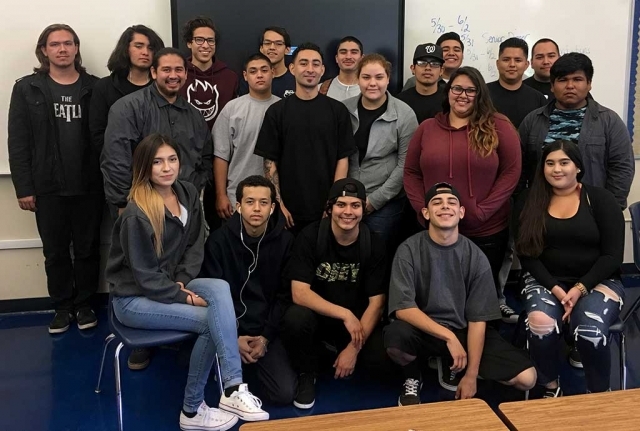 Fillmore youth have directly benefited from the group’s philanthropy with graduating seniors being awarded over $300,000 in educational scholarships. Thank you Fillmore Women’s Service Club for your dedicated service to enhancing the Fillmore community. 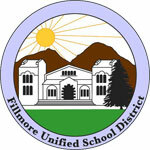 The Board received an update on the Fillmore Unified Preschool program. Information was presented by Assistant Superintendent, Martha Hernandez, and Director of Child Development, Holly Harvan. The Board received a report on the Core/Basic Materials pilot for grades 6-8 English Language Arts/English Language Development materials and process for public review. Information was presented by Assistant Superintendent, Martha Hernandez. The Board received an update on Fillmore Adult School. Information was presented by Assistant Superintendent, Stefan Cvijanovich, and Director of Special Projects and Student Services, Tom Chan. The calendar is a negotiated item for the Fillmore Unified Teachers Association (certificated bargaining unit). 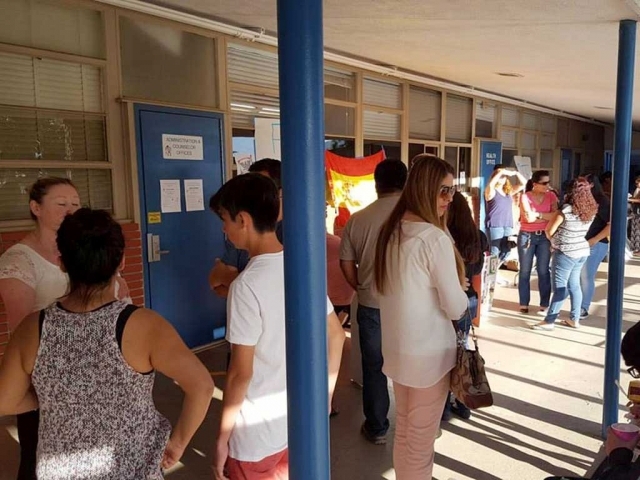 FUSD and Fillmore Unified Teachers Association are in negotiations on this item. The Board approved all personnel recommendations including new hires, promotions, resignations and leaves. The District will consider providing bus service to and from Piru, based on the number of students who would use the service daily. There would be 1 bus daily picking up at a central location in Fillmore, and 2 buses returning to Fillmore, dropping off at the same location, on a daily basis. This bus service would continue if there are adequate numbers of students that are using this transportation service. 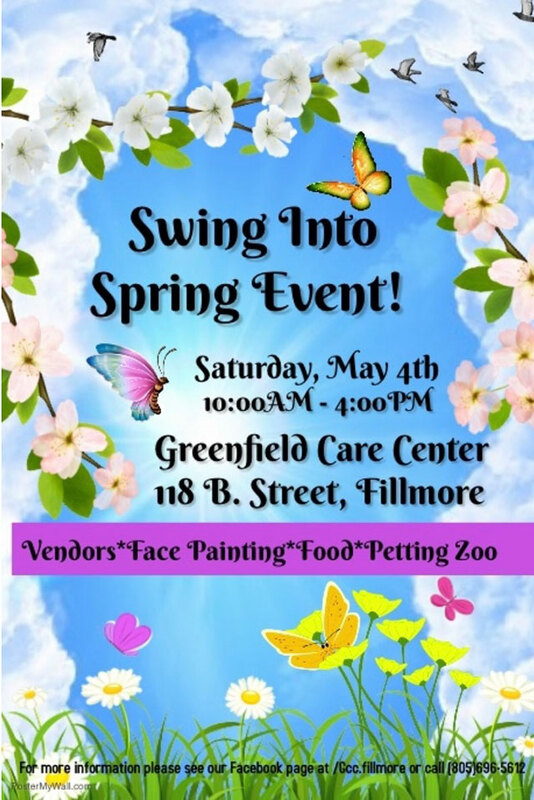 Please contact, Stefan Cvijanovich, Assistant Superintendent of Human Resources and Pupil Support, 805-524-8037 or scvijanovich@fillmoreusd.org for more information. 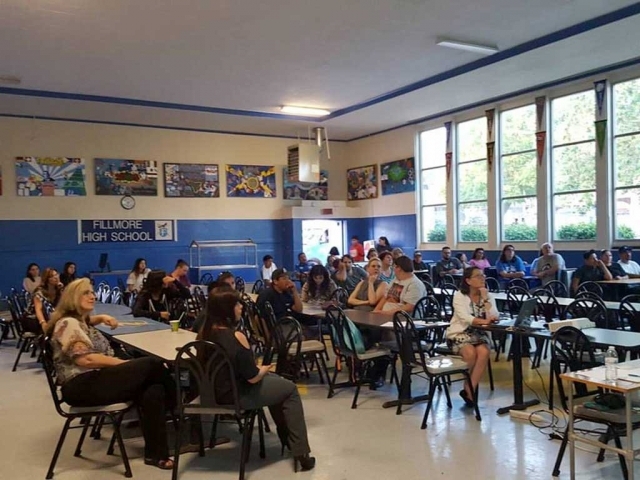 On Thursday, April 20th, students, families and teachers gathered at Fillmore High School for Open House and 8th Grade Parent Orientation. FHS clubs, school organizations and teachers set up tables to provide information to parents and students. 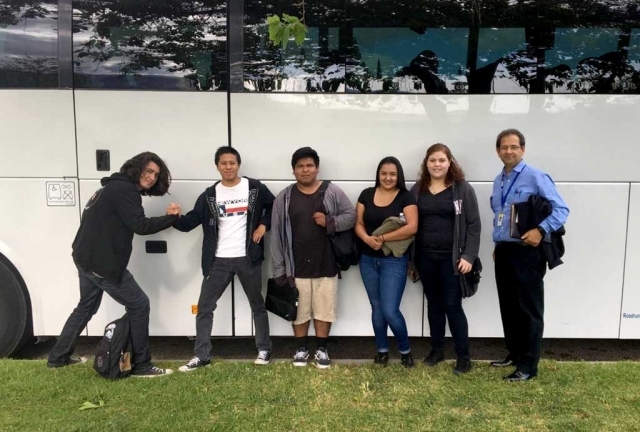 Attending the Entrée to Employment held at California Lutheran University were (l-r) Brandon Nava, Edward Peralta, Luis Arillano, Lupita Villareal, Sarai Vargas, and teacher Bill Chavez. On April 18, 2017 Mr. Chavez, English and Street Law teacher from Sierra High School, attended Entrée to Employment with five Sierra students. 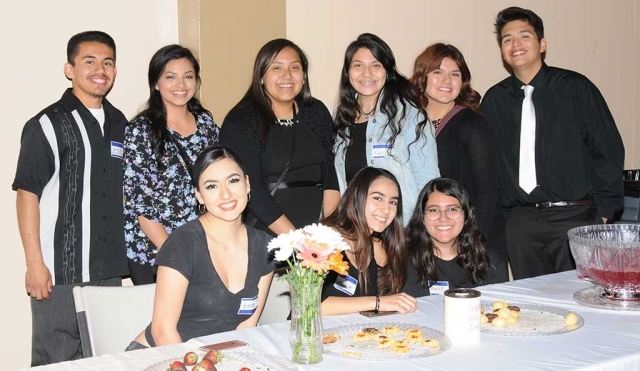 Sarai Vargas, Lupita Villareal, Luis Arillano, Brandon Nava and Edward Peralta had the privilege of attending the event which took place at California Lutheran University. 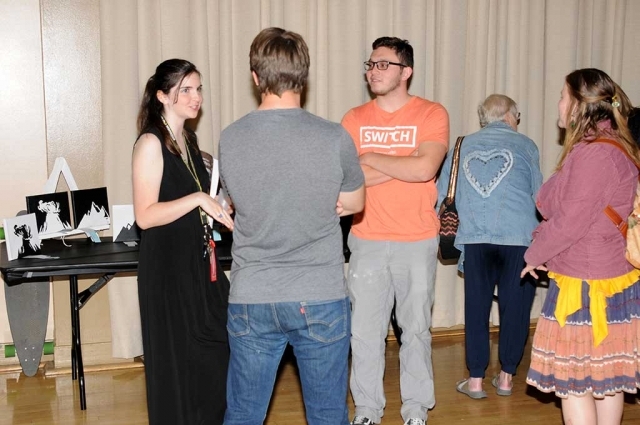 This was an opportunity for students to engage and ask questions with leaders in Ventura County including judges, lawyers and law enforcement about their careers. Please join our 3rd grade classes as we share with you our learning about the California Condor and conservation. 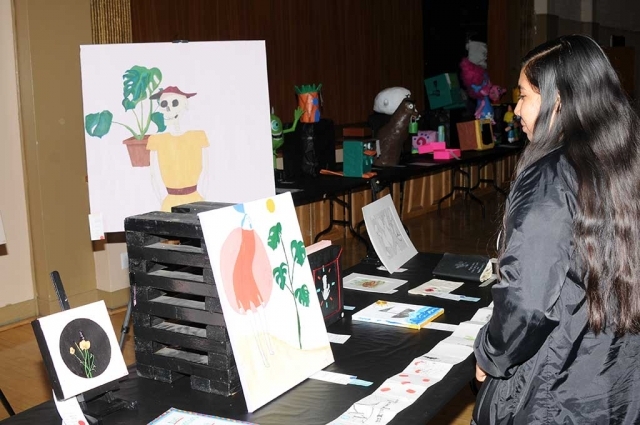 Student displays, hands-on activities including artifacts and art projects for kids of all ages Thursday, April 27 from 6:00-7:00 pm (Along with our school open house) Come early and buy pizza too! Thank you for supporting our 3rd grade at Mountain Vista. The Association of California School Administrators (ACSA) has named California Lutheran University faculty member Trudy Tuttle Arriaga its Professor of Education of the Year. Arriaga, the Distinguished Educator in Residence in Cal Lutheran’s Graduate School of Education, will receive the state award at a Nov. 3 dinner during the association’s annual Leadership Summit in San Jose. The former superintendent joined Cal Lutheran’s faculty full time in 2015 after serving as an adjunct for nine years. She teaches in master’s and doctoral programs as well as the university’s new Institute for Executive Leadership in Education certificate program for administrators who would like to become superintendents. 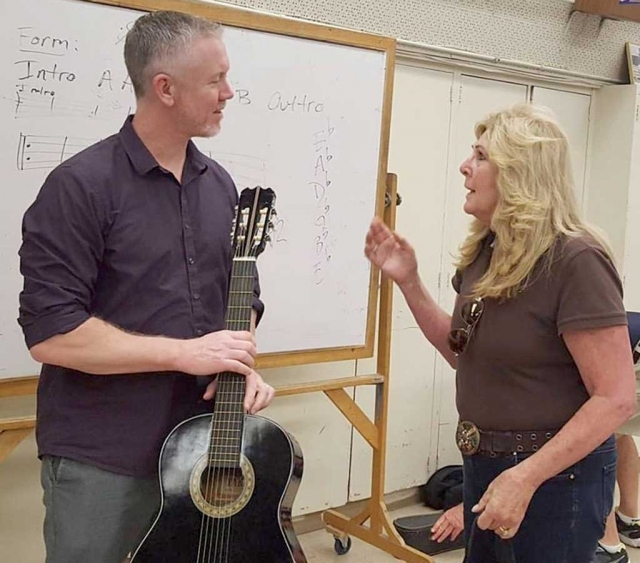 The Ventura resident has taught at the university level for more than two decades. 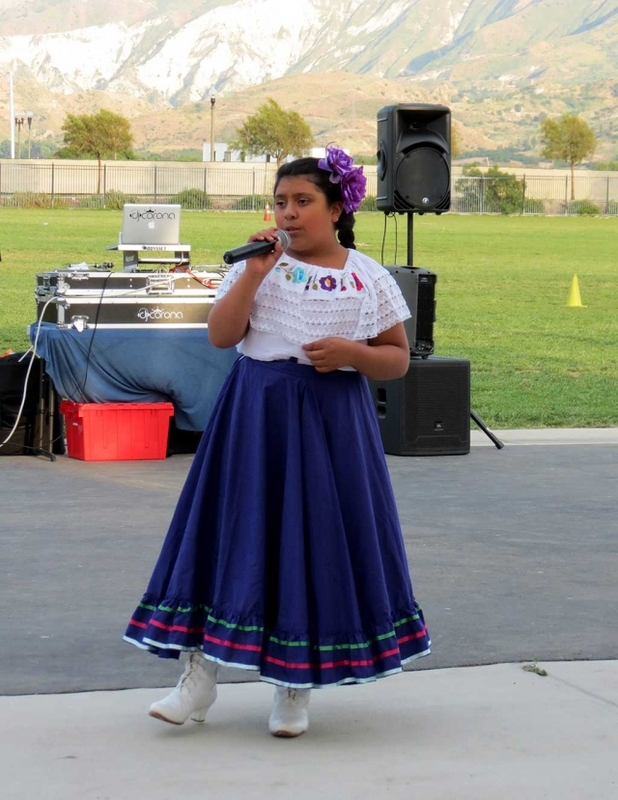 Since the 2015 release of the book she co-wrote with Randall P. Lindsey, “Opening Doors: An Implementation Template for Cultural Proficiency,” Arriaga has traveled across the country to help districts improve student engagement and achievement by focusing on diversity, equity, access and inclusion. 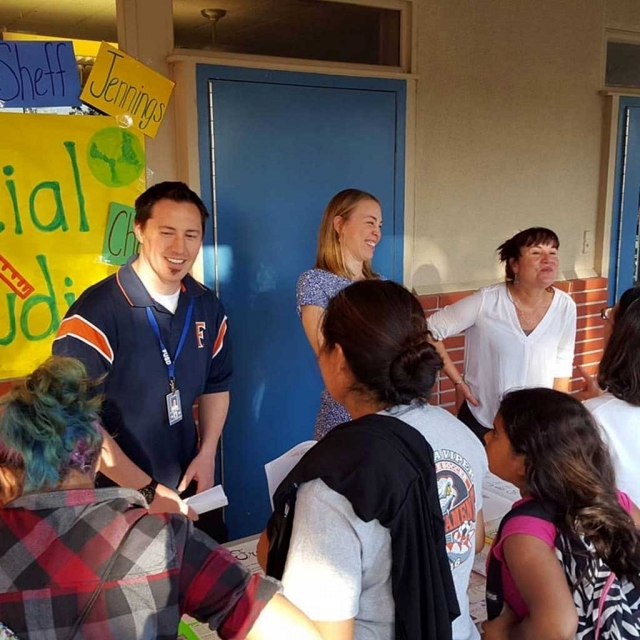 Arriaga coordinates professional development for new superintendents and mentoring programs for administrators through ACSA. 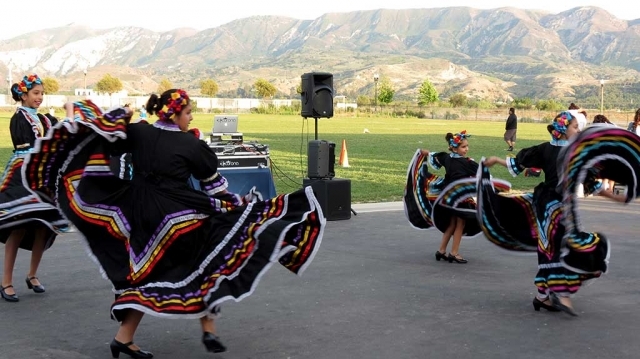 In 2013, the California Association for Bilingual Education named her State Administrator of the Year and ACSA presented her with its Marcus Foster Memorial Award for Administrator Excellence. She was a 2015 Woman of the Year for the 37th Assembly District and 19th Senate District and the city of Ventura’s Citizen of the Year in 2012. 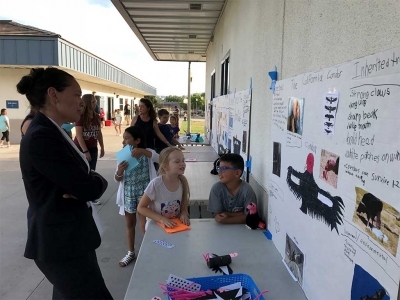 She joined Cal Lutheran’s faculty full time after retiring as superintendent of the Ventura Unified School District, whose headquarters was named in her honor. 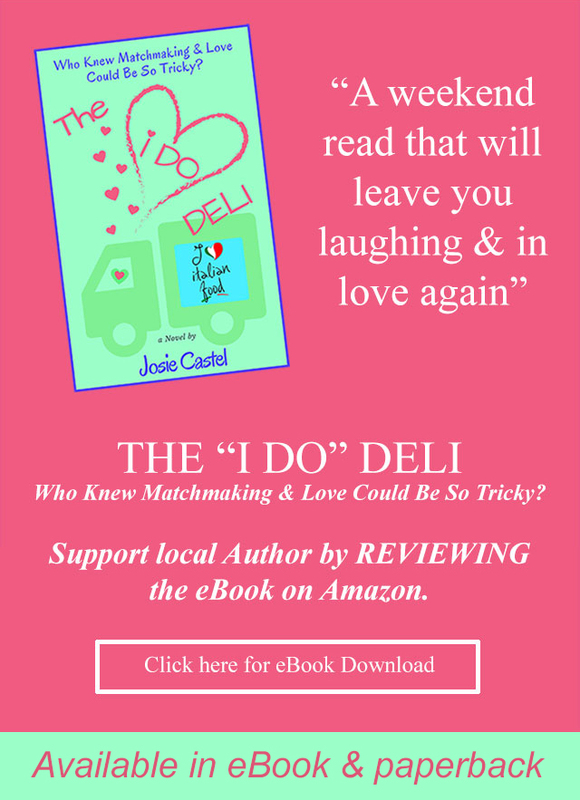 She served as the district’s first female superintendent for 14 years and in other roles, including teacher and principal, dating back to 1975. She earned a bachelor’s degree from San Diego State University, a master’s degree in educational administration and supervision from California State University, Northridge, and a doctorate in educational policy, planning and administration from the University of Southern California. Cal Lutheran’s Graduate School of Education has helped prepare more than 8,000 teachers, counselors, administrators, principals and superintendents for careers in K-12 and university systems. It offers multiple master’s degree, doctoral and credential programs in Oxnard, Santa Maria, Thousand Oaks, Woodland Hills and online. 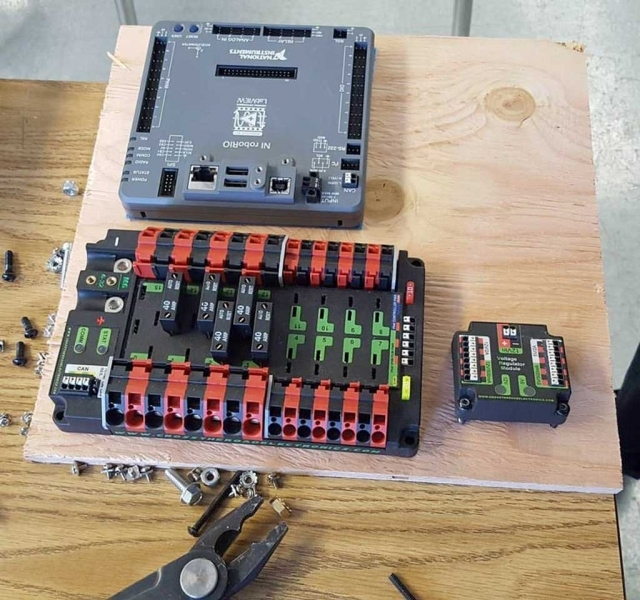 (above) One of about 13 FHS Students who met this past Saturday to start working on their new robot for the next competition. In the Fall of 2017 FHS will enter into the VEX Bakersfield Robotics League. 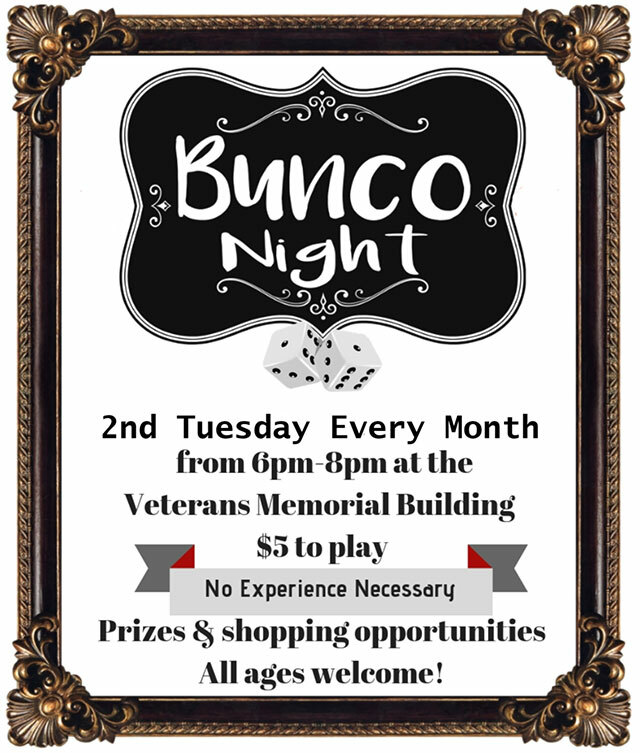 Once a month they will send a team up there to compete. 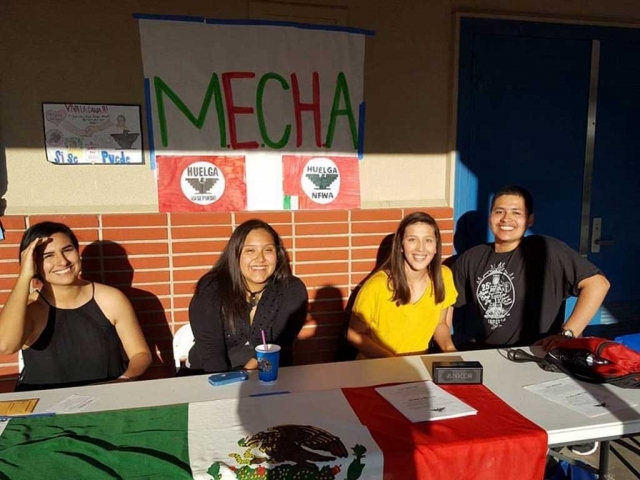 In 2018 FHS Robotics Team will enter the First Robotics Ventura Regional Competition again. They will also hope to host some scrimmages during the winter with county teams. The word is that quite a few of our local businesses are offering financial support. The team has also applied for grants. 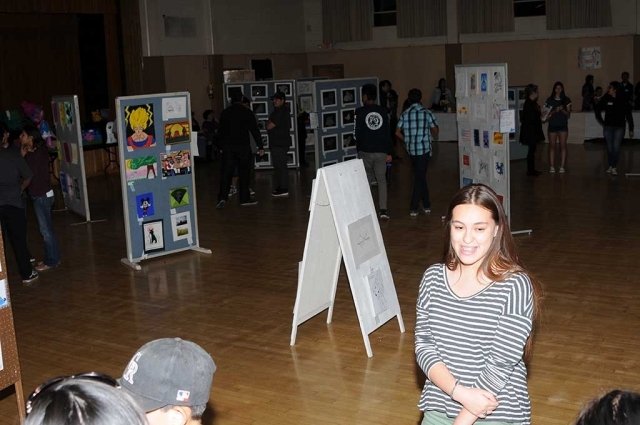 Fillmore High School Visual and Performing Arts department hosted their annual Art Show “Road Less Traveled” this past Thursday March 30th at the Veterans Memorial Building. 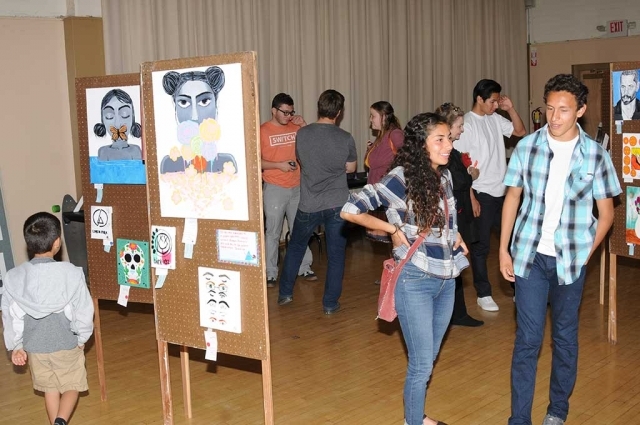 Last week Fillmore High School received a generous donation from the Lynda Miller Foundation. She donated art supplies and other materials to assist our teachers over the years, as well as 6 guitars to the FHS Music Program. 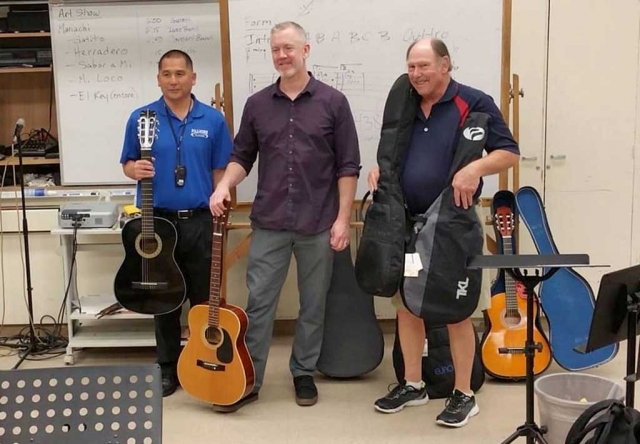 Some of the guitars were fit for our Mariachi Program and some were more appropriate for the guitar class.